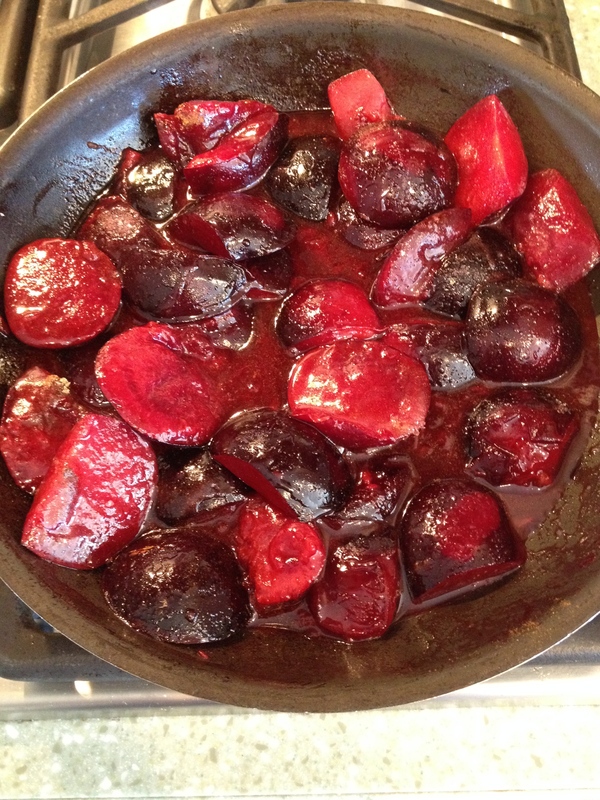 Melt 1 TBL butter in a skillet, add plums and cook 3-4 minutes. Add the 1/2 cup sugar, cardamom, cinnamon and salt. Cook down until plums are tender about 10 minutes. Bring liquid to a boil and cook until liquid begins to thicken up, about 5-10 minutes. Spray a 9 inch cake pan with baking spray. 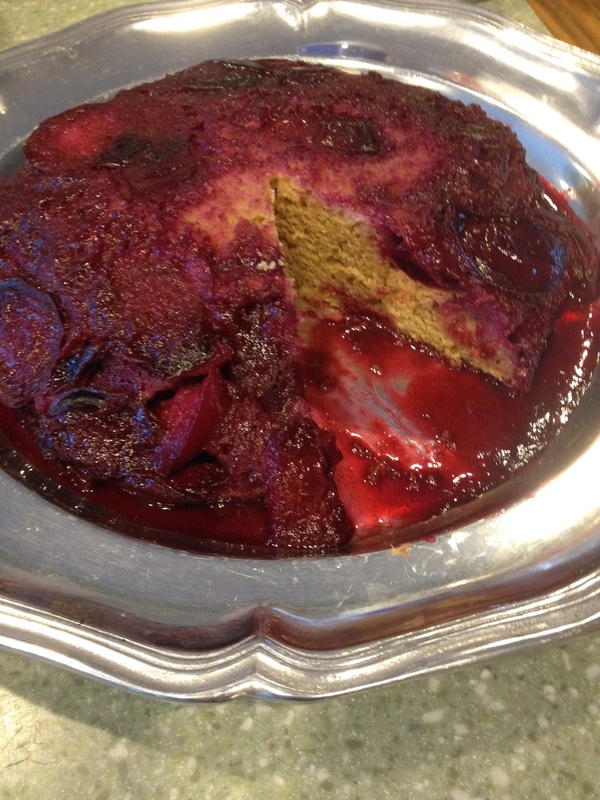 Remove plums from skillet and place in cake pan. Once liquid is slightly thickened, pour over plums. Beat the 2 TBL of butter and 2 TBL of applesauce together. Add the eggs, vanilla and almond extract. Combine the flour, baking powder and 1/4 tsp salt. Add the flour mixture and buttermilk, alternating each, into the sugar mixture. Pour batter over plums and gently spread to cover. Bake @ 350 for about 45-50 minutes or until a toothpick comes out clean. Allow to cool for 10 minutes. Run knife around edge of pan. Place a platter upside-down on top of the cake and carefully invert cake. Serve with whipped cream or vanilla bean ice cream. Posted in Uncategorized and tagged Cake, plum, summer dessert, Weight WAtchers. Bookmark the permalink.